A blast from the past this week as I have been getting down to serious picture research, firstly going through my own collection of brewery-related imagery. My old 35mm slides were a bit of a disappointment (although these would probably reproduce least well in any case) as most of them were taken when slides cost a mammoth 30p each, and to waste one was sinful…… Thus I don’t have very many. Moving on rapidly to my digital images, these are more helpful, aside from reminding one of holidays long gone. 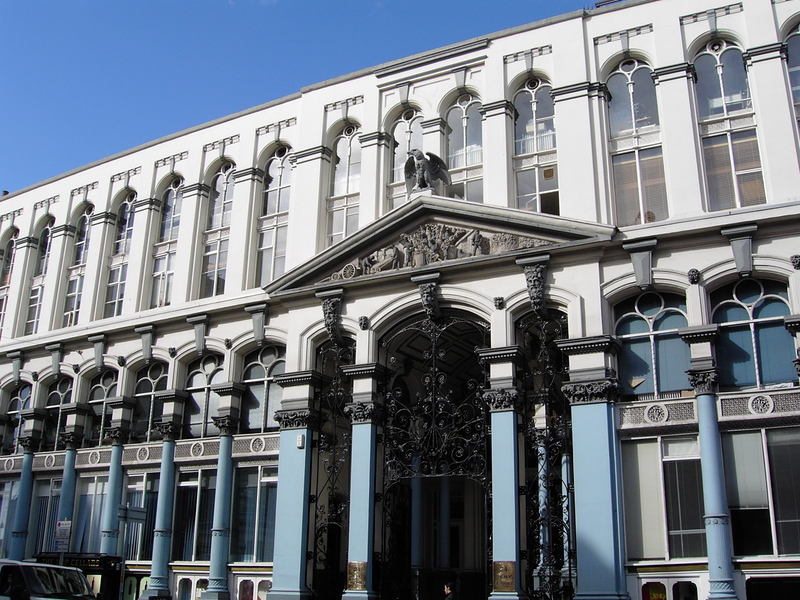 But I think it was a work trip to London when I came across the former Hop Exchange (1866, and much altered following a fire) in Southwark on a sunny day, showing off its fine facade – Pevsner rather unnecessarily calls the gates ‘florid’. 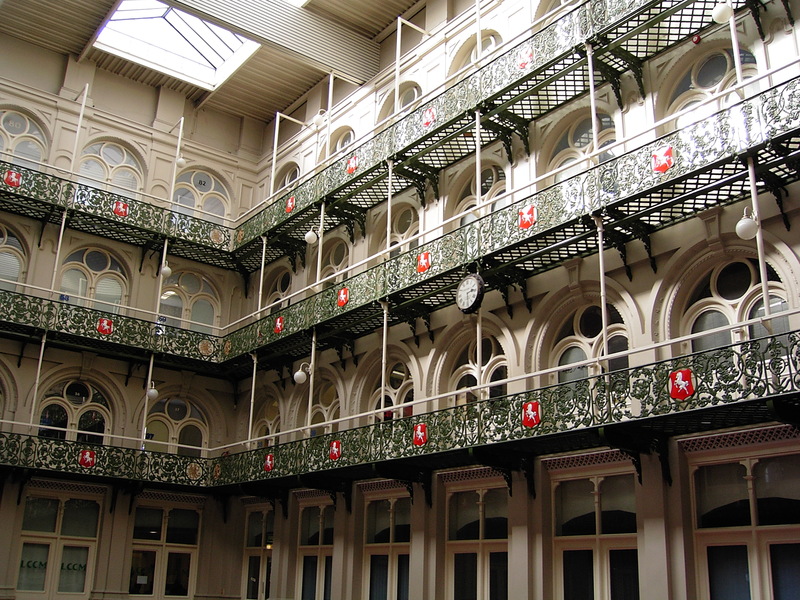 There’s hop decoration everywhere, inside and out, all around the splendid galleried interior. And nearby is a hop factors, with similar decoration in stonework. 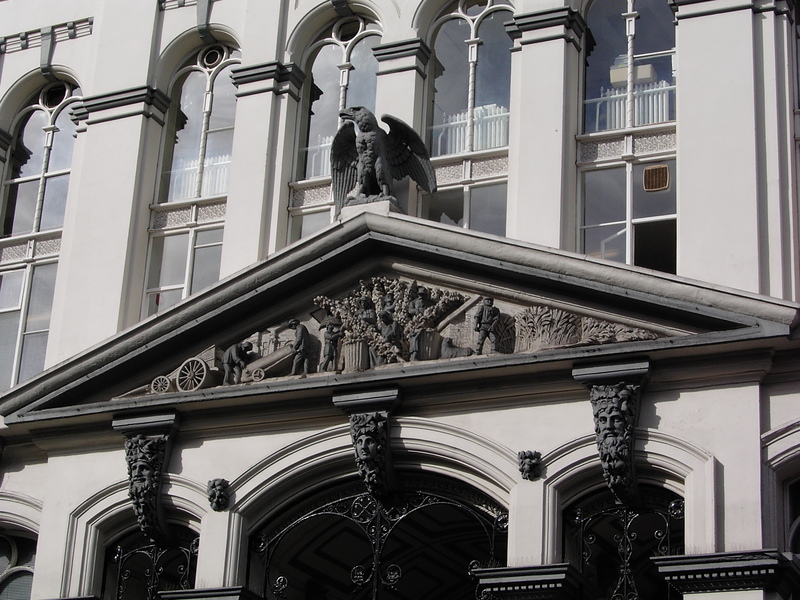 Southwark was a big centre of the hop trade, but there were smaller hubs too, for instance Worcester, which has its share of hoppy decs, as it were. 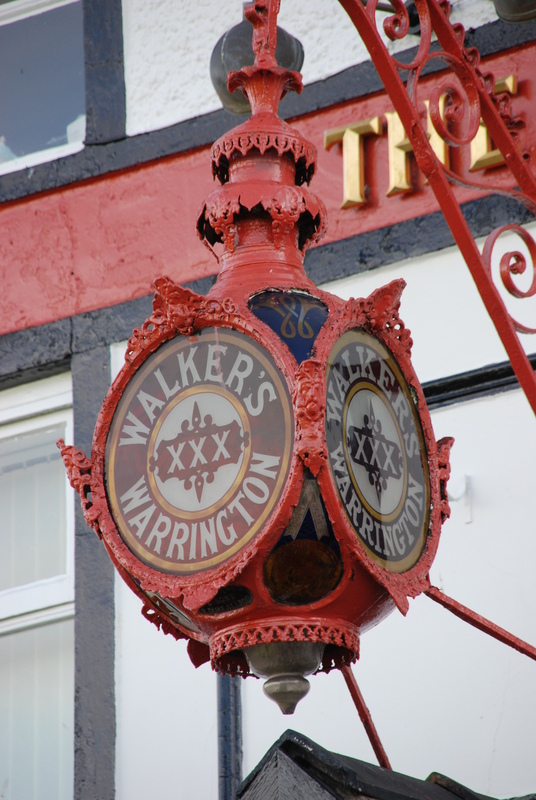 Finally this week, on the holiday theme, is a magnificent Walker’s Warrington lamp from outside the Red Lion pub in Parkgate, on the Wirral in Cheshire. Parkgate was still a port around 1800, but soon after that the Dee estuary silted up – however, it remained, and still is, a bit of a resort, with fantastic views from The Parade west over the estuary to Wales. Enjoy.